Last year we supported at least 30,000 children, young people and adults across Fylde, Wyre, Lancaster and Cumbria. YMCA Fylde Coast manages and delivers a wide range of community services such as; 10 health and fitness centres, supported accommodation for the young and homeless, housing advice service, counselling support, young people services, National Citizen Service, the Your Move programme as well as outdoor education for schools, youth groups and businesses. Learn about the impact we made in 2017 to 2018 in all four of our programme areas. Learn about the impact we made in 2016 to 2017 in all four of our programme areas. We work with young people from all backgrounds through a variety of youth work projects. Our youth work projects focus on supporting young people to improve their physical and emotional wellbeing alongside developing skills that will enable them to become productive members of society in adulthood. YMCA Housing works across the Fylde Coast and North West providing high quality and effective housing services including supported accommodation schemes, rental accommodation, housing advice, financial advice and community provision for young people and families who require assistance in bringing about stability and security in their lives. 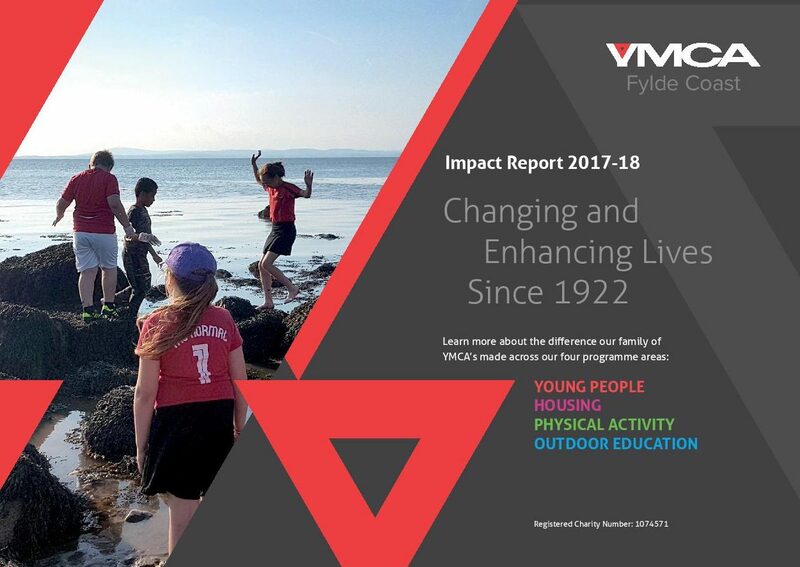 Over the past 60 years YMCA National Centre Lakeside, has inspired more than a million children and young people; building confidence, developing skills, and opening their eyes to a better future. The YMCA owns and manages health and fitness centres across the Fylde Coast, we work in partnership with Wyre and Fylde Borough Councils and the local NHS, to ensure all members of our community have access to superb facilities and programmes, so we can all enjoy and benefit from an active lifestyle. Which YMCA service is your enquiry about? I agree that by submitting this enquiry, I am consenting to YMCA Fylde Coast processing my personal information for the purposes of fulfilling this enquiry and my information will not be used for marketing purposes unless consent is given verbally or in writing.